Oh yea! Finally got the time to sit and share about my latest baking adventure, this time I used two of my most loved machine: Tesco Bread Maker and Philips AirFryer. 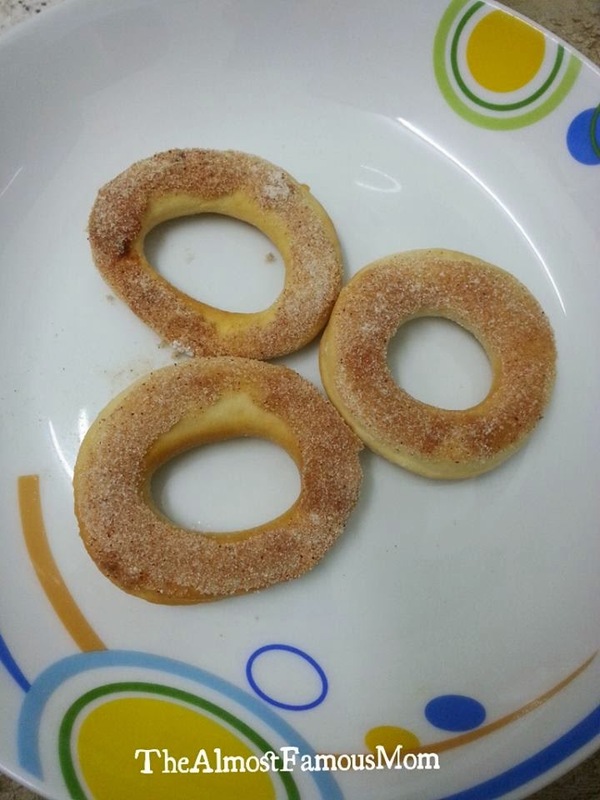 This round I attempted to make doughnuts from scratch and to AirFry it to make it a healthier snack for my family. The Tesco Bread Maker has helped me by creating the proofing and creating a perfect dough for me to work on - the shaping and artwork department...LOL! 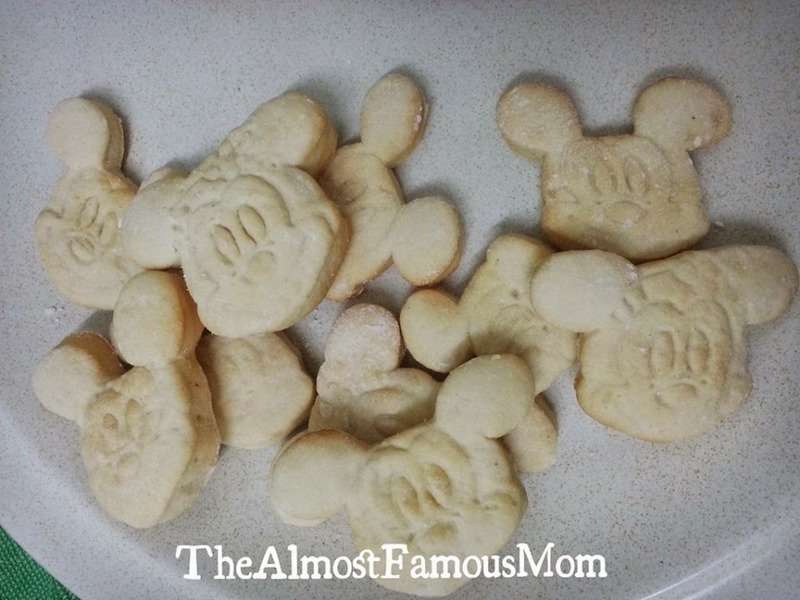 Next, pop these into the AirFryer to bake to perfection! Put all the ingredients into the bread maker pan following the order given in your manufacturer's instructions. Set the bread maker for Dough setting and let it run till it ends. 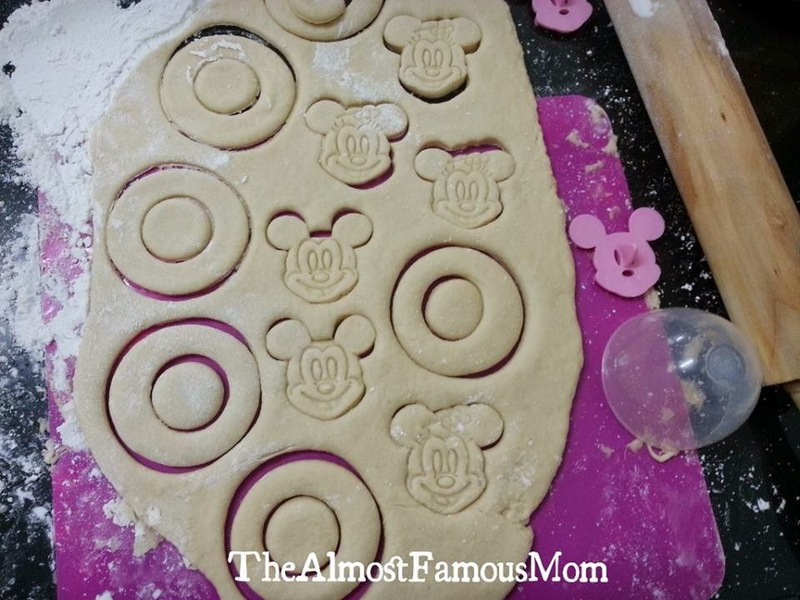 Roll dough out until 2cm thick, use a doughnuts cutter to cut the doughnuts. I did make some cartoon doughnuts using cartoon cutter. 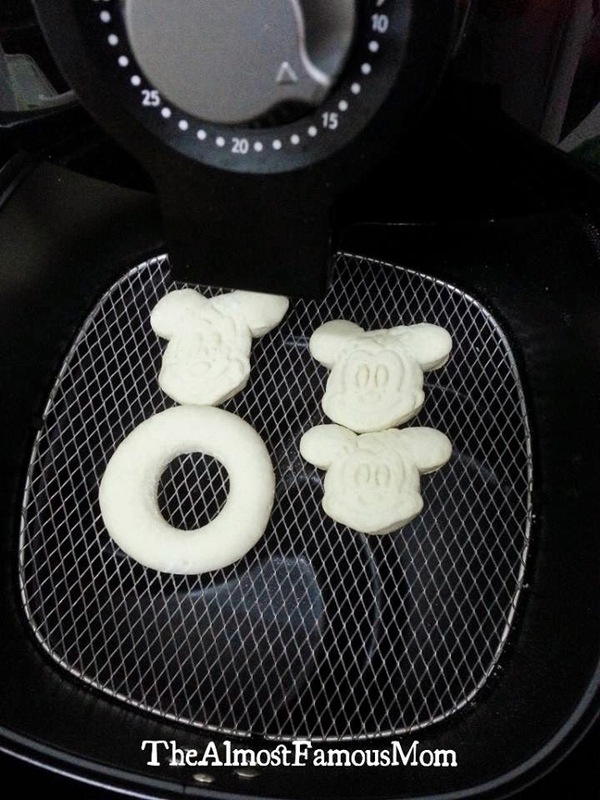 Preheat the AirFryer at 150°C, each round can fit about 4 doughnuts. Bake at 150°C for 5 minutes or until golden brown. Combine sugar and cinnamon in a bowl and mix it well. Brush doughnuts with the melted butter then dip it in the sugar mixture, shaking off excess if any. Light brown sugar, mine is without molasses. I seldom use molasses in my recipe.